Rep. Jaime Herrera Beutler, R-Battle Ground, has reintroduced a bill to reinstate oil train safety regulations. The rules, implemented by the Obama administration in 2015, were rolled back last year. The regulations required trains carrying oil or other flammable materials to update air-controlled braking systems with electronic brakes. But the U.S. Department of Transportation previously determined the cost to outfit trains with new braking systems outweighed the safety benefit. 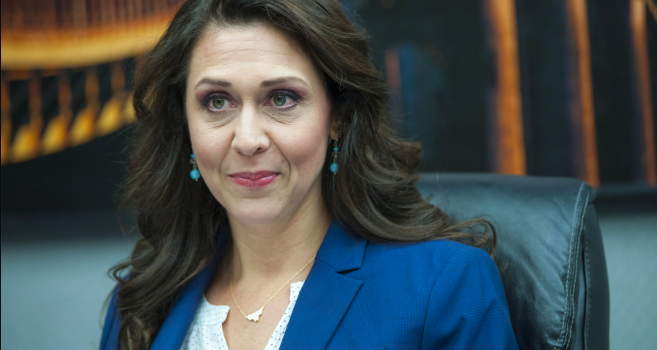 Herrera Beutler first introduced the bill, known as the Oil and Flammable Material Rail Transportation Safety Act, to bring back the safety requirements in October. The Washington State Department of Ecology classifies Southwest Washington as a major oil train corridor, with hundreds of millions of gallons of crude oil moving through the region each year. “As a community that has oil trains regularly running through our commercial areas, neighborhoods and downtown, Vancouver is very supportive and appreciative of Congresswoman Herrera Beutler’s efforts to reinstate the requirement that oil trains transition to the much more effective electronic pneumatic brakes,” Vancouver Mayor Anne McEnerny-Ogle said in a press release.